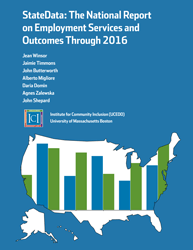 Community providers across the nation are embracing the transformation from facility-based employment supports to competitive integrated employment. While many providers believe in inclusion and Employment First for the individuals they support, some struggle to make their vision a reality. Read the statement here. These authors worked together to write a statement about what Employment First means and why it’s important.